Back in December my friend Brian contacted me to schedule a shoot for holiday cards. He and his wife don't send out cards for Christmas, instead they send out Pulaski Day cards! Cute, right? Brian had a clear vision of what he wanted. 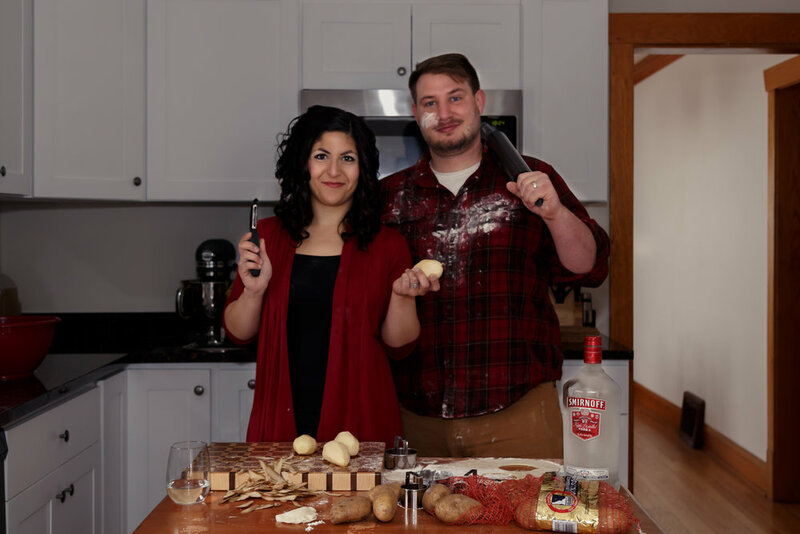 An American Gothic inspired image of a couple making pierogies for Pulaski Day. We did the shoot in their kitchen in Brookfield. Take a look at the final image!